For doing such repitative things easier I propose to add the commands "Open path with CMD" + "Open path with PowerShell" to context menu. 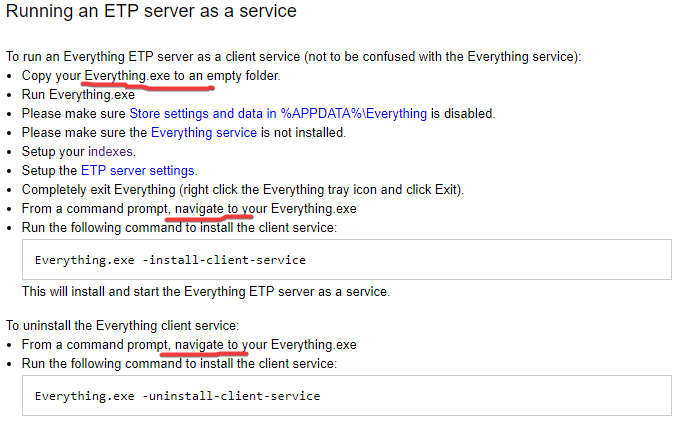 The idea came to me from my fav Clover Explorer which also have in menu an opt to elevate PShell upto admin rights. That's already possible with the current version of Everything. Will post it one of these days. NotNull wrote: That's already possible with the current version of Everything. Hehe, that's amazingly fast! Thx!!! This example is for CMD; Powershell is more of the same. Everything has an option to add custom verbs, including keyboard shortcuts. That way you can - for example - use <Alt-C> to start CMD or <Shift-Alt-C> to start an elevated CMD in the right folder. Unfortunately, Everything had problems with the cascaded submenu's. If you don't use the "Extra" submenu, it will work. I had trouble with "%V" on Win10 to indicate the folder-location of a file. Worked well on Win7 systems. Fallback was using "%1\..". 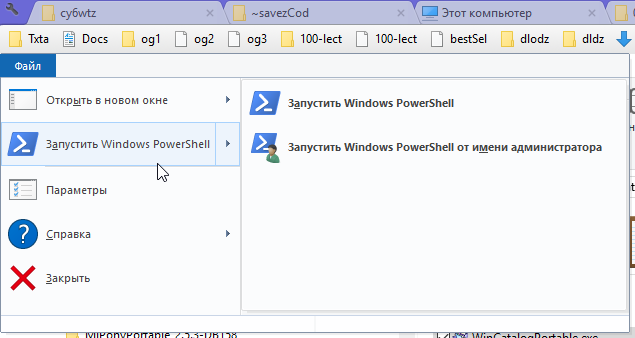 @="powershell.exe -Command \"Start-Process cmd.exe -argumentlist '/k pushd \"%1\\..\"'  -verb Runas\""
@="powershell.exe -Command \"Start-Process cmd.exe -argumentlist '/k pushd \"%1\"'  -verb Runas\""
Note: you can use the INJECT script to do steps 2,3 and 4 for you. Now you can press <Alt-C> on a file or folder to open CMD in it. <Shift-Alt-C> for an elevated command prompt. Or use Shift-Rightclick on the file/folder to show the CMD here /CMD here (elevated) options. You can change the keyboard shortcuts through Menu:Tools > Options > Keyboard > Show commands containg "Verb". Verb 1 = cmd; verb 2 = elevated cmd.